How was Martin Luther King, Jr. Day established? The strides that Dr. Martin Luther King, Jr. made during the Civil Rights Movement continues to be remembered and honored today, but did you know it actually took 15 years for Martin Luther King, Jr. Day to be created? In 1968, Congressman John Conyers introduced legislation to make a national holiday in honor of Dr. King, four days after he was assassinated. The bill was initially stalled, but luckily, Conyers and Representative Shirley Chisholm were persistent and they resubmitted the legislation during each legislative session. This, along with mounting pressure during the civil rights marches in Washington DC in 1982 and 1983, got the bill passed. On November 3, 1983, President Ronald Reagan signed the bill, establishing the third Monday of every January as Martin Luther King, Jr. National Holiday, beginning in 1986. 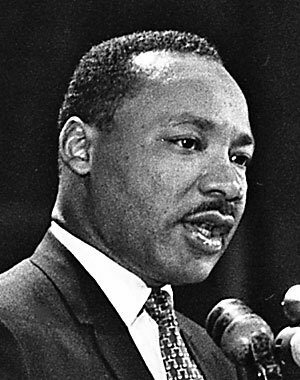 The first national Martin Luther King, Jr. Day was observed on January 20, 1986. So today, we honor Dr. King and his message of compassion and equality for all. Happy Martin Luther King, Jr. Day!